It's finally here! The NBA season tips off today. Before diving into regular season fantasy hoops coverage, it's time for one last set of predictions for the year. 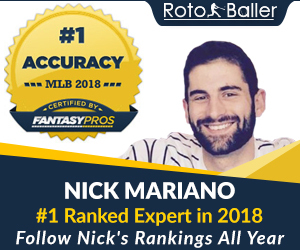 RotoBaller experts Trevor Crippen and Jake Finnen are here today with their final picks for fantasy MVP, biggest bust, NBA Champion and more. 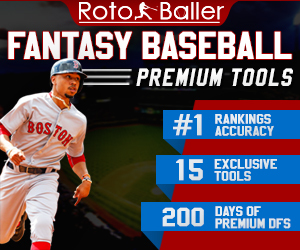 Editor's Note: RotoBaller has the best Premium NBA Subscription, only $29.99 for the full season. 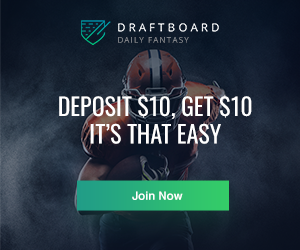 We have all the preseason tools to help win your drafts, and in-season tools to win your seasonal and daily leagues: Draft Kit, Premium Rankings, Sleepers List, Late-Round Fliers, Early-Round Avoids, DFS Cheat Sheets, Lineup Picks, Expert Lineups, Stacks and Avoids. Jake: There are a lot of weird things on this roster. They have 4 guards which right off the bat seems a little low. Anyway, Dirk is getting older so fantasy wise he's a risk. Bogut could be a good option depending on the matchup but otherwise, the rest of the roster is inconsistent. Harrison Barnes can't keep it together in the playoffs so I'm not sold on him whatsoever. I'll wait for them to prove me wrong. Trevor: I see a lot of signs for deep sleepers on this team -- I'm all aboard the Seth Curry bandwagon, for example (we'll get to him soon). Also, four guards is the number of point guards they have -- not just the number of "guards" right? They basically only have ball-handlers like Curry, Deron Williams, Devin Harris, and J.J. Berea or big wings like Wesley Matthews and Justin Anderson, right? I have to give it to Jake, though... this is one team that's very low on top-end fantasy talent, with Dirk Nowitzki still the first player coming off the board in fantasy drafts. Trevor: This may already be baked into player values, since Jimmy Butler, Rajon Rondo, and Dwyane Wade are all ranked well below where they would normally be based on last year's stats. However, I'm still pessimistic about this situation, the spacing, and the chance for a meltdown. I'm still disappointed we didn't get to see what could've been an interesting younger Bulls team, too, if they'd chosen to hand the team over to Butler and feature more of their young talent like Denzel Valentine, Doug McDermott, and (assuming they'd kept him in this scenario) E'Twaun Moore. Jake: This is hard to disagree with but I'm going to say that Rondo at the helms of the Bulls offense can only mean good things. In Sacramento he was the leader of an offense that finished third in team PPG and tied for third in assists per game. Rondo knows how to find open shooters and with Wade, Butler, Mirotic, and even Robin Lopez can score and have high quality jumpshots. I'm not saying the Bulls will make a playoff run but their offense is going to be on a different level, and their fantasy production will be fine. Jake: Exploding with talent. They needed a good big man and they got one. I really think this team could make a Finals push is all falls together but the Celtics are full of athleticism, defenders, and shooters. Al Horford gives them an extremely versatile big men while sneaking in Gerald Green off the bench. I bought a Jae Crowder jersey and I'm a Knicks fan. That should say something about how excited I am to see how the Celtics fare this season. Trevor: I love the Celtics this year, too. My one disappointment is the injury just suffered by Marcus Smart that will keep him out for the first few games. I was really thinking this could finally be his year to breakout, and I'd hate to see a bunch of minor injuries hold that back again. Trevor: This team is going to score, and score, and score. Harden is going to be a one-man wrecking crew. Trevor Ariza will bring great value in efficiency, treys, and defensive stats. Ryan Anderson will be a must-own C for FG% punting teams. Clint Capela could break out in a big way. I don't know how all the scoring is going to shake out with this team, but I'm trying to get a piece of it wherever I can in fantasy leagues. Jake: All I think is how Harden is going to be everything in Houston. At the point he has full control and he is going to use it. Of course his stats are going to increase, last year was a seemingly dilapidated Rockets team in the playoffs. They took a downturn from the year before and Harden at point could be the answer. Ryan Anderson is a prolific scorer and Eric Gordon is streaky so the outcome is a little hazy. Clint Capela lacks a jump shot and Trevor Ariza seems to be aging daily. I see three Rockets being fantasy relevant. Just three. Jake: Near the end of last year he started becoming a ball hog and taking the ball up the court which clearly impressed some people. They started letting him do it and he struggled but improved throughout the game and actually managed to rack up some assists. I'm not sure if he will be used the same but versatility is versatility and Randle has the skills needed to be very good this year. I think he steals the show from D’Angelo Russell. Trevor: There's going to be inefficiency from Russell in the form of a poor FG% and lots of turnovers. That might give you pause in roto setups, but those numbers are something it's easy to work around in H2H fantasy leagues. Russell is the type of guy who could finish in the top 15 in each of scoring, assists, and threes. He's going to be a monster fantasy producer. Jake: D’Angelo is on everyone's radar this year but I think it's a year early. He is going to be a franchise player but I don't see him really hitting his stride till after the All-Star break. It's hard to go against him because he has splashes of greatness but I don't think he'll be a consistent player until later in the year...and I picked Julius Randle. Maybe he'll prove me wrong but until he is producing every night, I'm not sold on the sophomore guard. Jake: I'm sorry but he is not good. If anything positive comes from Dellavedova it's that he got to play with Lebron and win a championship. I think now that he is in Milwaukee and starting, he is going to be a cringe worthy addition to a team that does not deserve the pain. Trevor: Boy, Jake just hates Delly. I find it hard to call anyone I'd select with a late pick a bust, though. It just doesn't matter that much if those picks don't work out. Trevor: It's not that I'm scared about the production out of Favors. I just don't like big men with balky knees. Most busts end up being due to injuries in one way or another. I'm not in the mood to spend a third round pick on a guy who's already limping around and at risk of sitting out games at a moment's notice -- especially when so many high upside guys are on the board. Jake: I'm not scared of the knee. With Gordon Hayward out for a some time, Favors is going to shine. He is a versatile PF with shooters around him that can create some space. He shot 51% from the field and was close to averaging a double double last season. (16 PPG / 8 RPG) He can handle the workload while Hayward is out and see him being a very quality PF for the time being. Jake: Both these dudes ball out and have been overshadowed by other players. I think Harkless in the starting role is going to be perfect for him and he is going to be producing quality numbers early this season. He will probably fizzle out but I think he cements a starting spot. As for Moore, he went crazy a few times in Chicago and New Orleans is going to be desperate for guard production. I think Galloway shoulders the defensive burden and Moore shines in the limelight in NOLA. Trevor: Can't argue too much with these guys -- both starters barely being drafted. Moore's ability as a ball-handler may allow him to outshine his much more hyped rookie teammate Buddy Hield, while Harkless is a solid across the stat-sheet contributor if he keeps his minutes. Jake: Where is he even playing? Dallas? He's behind Deron and JJ Barea but he's also one of 4 guards on the roster. Hard to argue with minutes. Trevor: I'll keep hammering on this pick. I love guys who make a high percentage of threes, because they allow you to get production there without hurting your FG%. Curry also adds some assists to the equation, which sets him apart from typical three point specialists. I love the situation for him to get playing time now and have upside for more. This is a Dallas team under Rick Carlisle that used three guard lineups a ton last year, with Deron Williams, Raymond Felton, and Wesley Matthews able to simultaneously get close to starter's minutes. Curry can slide into that Felton secondary ball-handler role. Meanwhile, the guards ahead of him on the roster are all old and/or injury prone, making it basically a lock injuries increase his value. Jake: So. Many. Triple. Doubles. I'm predicting at least 20 this season. Hoping his assists totals don't hit rock bottom...which is completely plausible with the team around him. It'll be between Russ and Harden all year. Trevor: I kind of think Westbrook's not going to try to carry the team with his shooting as much as people expect him too. He'll make an effort to get his teammates involved. That could be a good thing, as it'll help his assists and not hurt his FG% quite as much. I think he's always been a bit higher rated than he really is in fantasy, though, so even if he does take a leap in production, I think he's essentially just playing catch-up to the other top dogs in Harden, Durant, and Curry. Trevor: You read what I said about the Rockets. Harden's going to have a monster year -- he's not out of shape and won't get off to a slow start like he did last year coming off his Kardashian offseason. Plus, even if you have him and Westbrook neck-and-neck for production, Harden's positional flexibility -- where you can slot him into the SG or SF spots in a league stacked with point guards -- is worth the tiebreaker every time. It makes it so much easier to punt FG% and TO going forward if you can still target as many point guards as you want. Jake: I've predicted Harden is going to lead the league in scoring and that is basically MVP type production. I had Westbrook because you know, triple-double +3. Harden is going to drop 60 more than once this season. Calling it. Jake: The Dubs are too good. BUT I really want to the Celtics to go to the Finals cause I think they are the only team capable of beating them. I think defensively they can match up, or try to match up with them just as well as anyone. I think Brad Stevens knows what he doing on the sideline. Trevor: Oh, Coach Stevens knows what he's doing, but I still don't think anyone's beating a healthy Warriors team. And if there's one team (and person) capable of beating them, it's not the Celtics and Brad Stevens... It's still the Cleveland Cavaliers and LeBron James. I think it's another rematch in the Finals.